I had commented on a photo Cheri had posted asking her where some fabric was from and then she sent me some. It was super awesome of her and I wanted to send a little package thanking her. 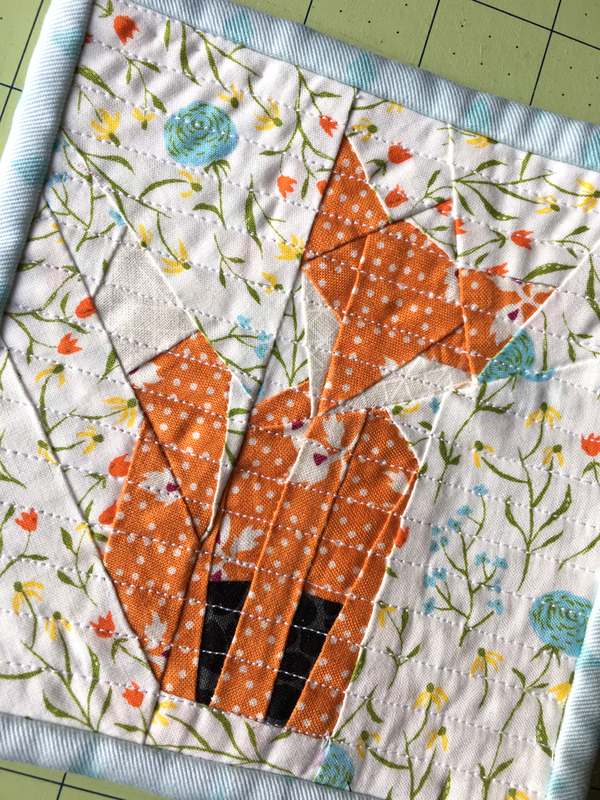 If you follow Cheri on Instagram you’ll notice she has a thing for foxes so this was the perfect chance to try out the free fox paper piecing pattern from Stars & Sunshine. I absolutely love how it turned out, I had a hard time sending it away. I want to enlarge the pattern and make a pillow or wall hanging. 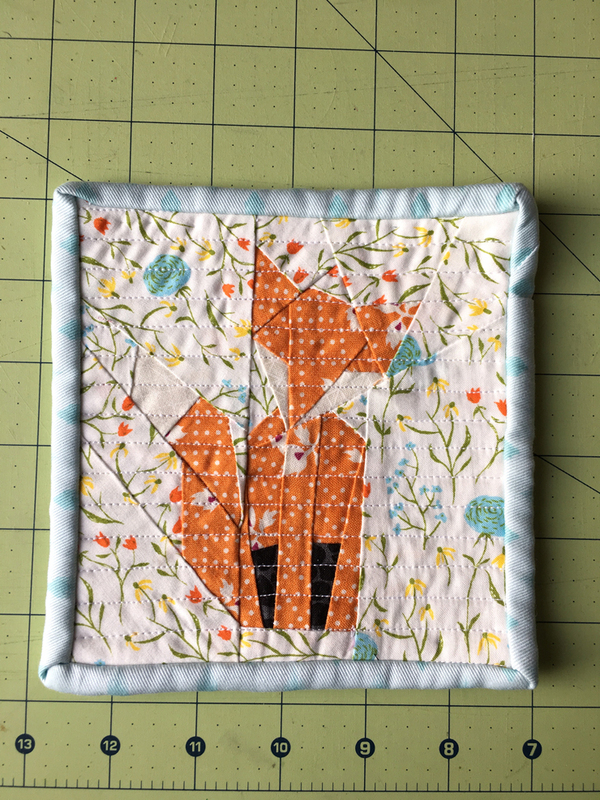 Paper piecing was one of my TSNEM posts last year and I am so glad I figured it out, it’s proven to be a very valuable skill!